We’re often asked how we come across the men we feature in this publication and to be honest, there’s no real formula. it’s a combination of them finding us, word of mouth, and going out of our way to find something, or someone, specific. 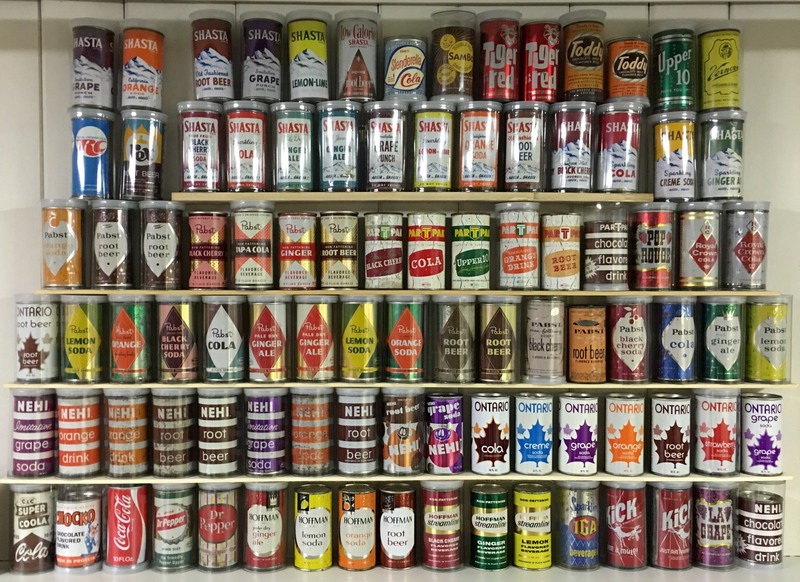 During our travels to various sheds and man caves over the past three years, we’ve come across a few soda cans stacked up in corners or along walls, but never anything extensive enough to call a ‘collection’ so to speak. They’ve generally just been additions or afterthoughts among a much bigger space or passion. 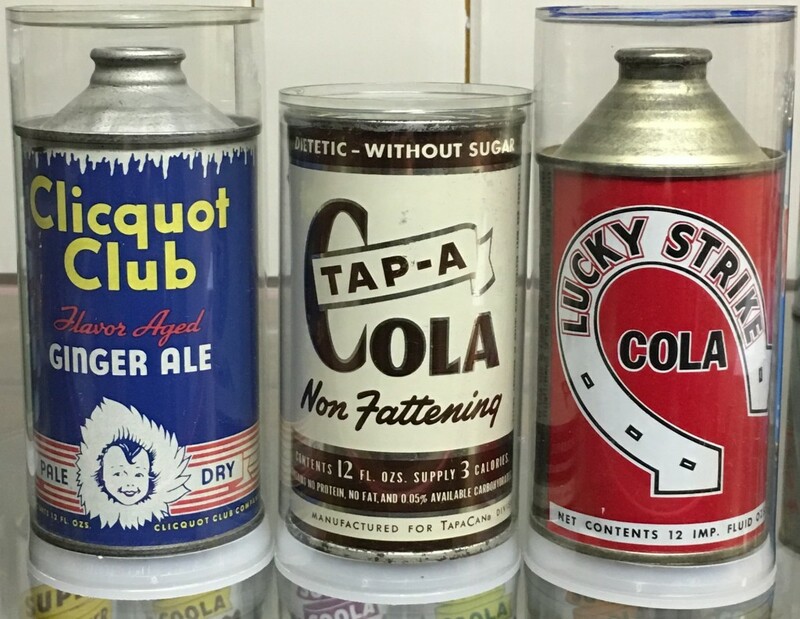 We knew there had to be someone, somewhere, who actively searched for and collected these cylindrical drink holders. A couple of Google searches later revealed our initial thought to be correct. 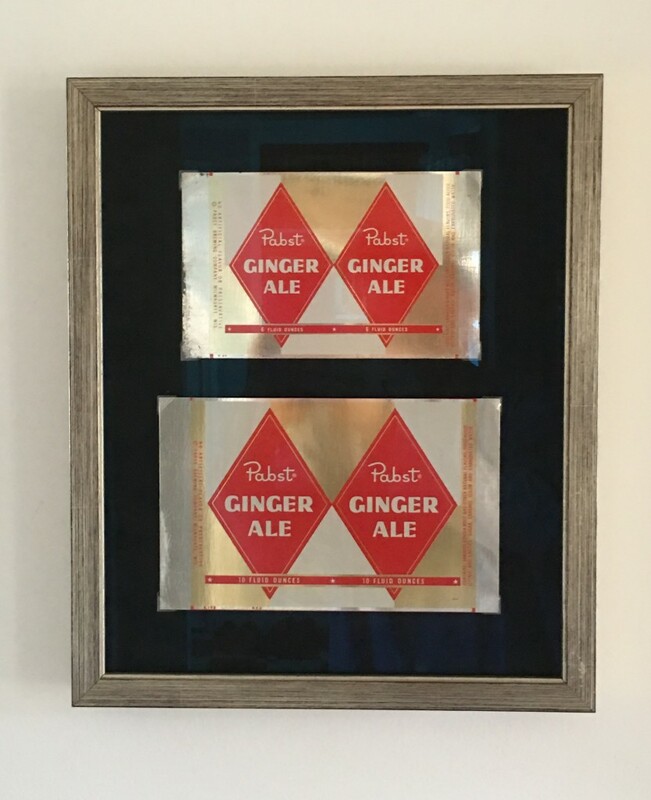 Dave Tanner lives in West Hartford, Connecticut, United States and the focus of his collection remains on rare, older cans, including international and gallon syrup cans. He has a blog dedicated to his wonderful collection of cans and updates followers on his new findings on a regular basis. He’s written a book about soda cans too. We think we found our man. “I really like the earliest examples from the mid-1950s. To keep the collection size reasonable, I collect only one example from each generation, rather than try to obtain one of every flavour. This also keeps my costs down a bit,” Dave says. While soda is deliciously bad for you, the cans themselves are usually thrown out (and hopefully recycled) once their contents have been ingested, but for collectors like Dave, it’s more about the tins themselves than the sugary liquids that they contain; although, he does admit to having a slight caffeine addiction that sees him downing a can at lunch every day. He knows that unlike his can collecting obsession, that habit will have to end eventually. Like a lot of interests and collections, Dave’s dad had an influence. It was 2000 when Dave and a couple of other collectors started talking about putting the cans into an updated soda can book. Initially they had planned to just include their own collections, but it didn’t take long to jump on a more comprehensive path. One of Dave’s interest areas is identifying cans with only one known example. In the guide, these are identified as R0 cans, with other rarity ratings used from R1-R4. The known R0 cans are all pictured on his website, which he updates on a regular basis. “I think I am really drawn to the historical context of the cans, particularly the early history. I have two early industry booklets that highlight the very first attempts at canning soda, including many of the actual production specs. The booklets even picture most of the cans available as of their 1954 production. Too bad that collection no longer exists,” Dave says. Dave has a real penchant for cans with more artistic or graphic labels. When it comes to finding various cans, it seems as though Dave takes a similar approach to us when it comes to finding stories. Some find him, usually via his website, while others are hunted down. Picking missions and auctions are also on the agenda and Dave recounts one of his most memorable picks. “In August of 2004, a fellow collector and I drove out to Ossian, Indiana to attend the auction of one of the largest and most impressive collections assembled at that time, owned by Annie Ewell. She had amassed more than 100,000 cans. We spent a day looking over the cans and then the auction itself took most of a day to complete. We packed every inch of the car full of cans and made our way back to Connecticut. Many of those cans are centre pieces of my current collection,” Dave says. Dave’s can collection is displayed in his basement. Some are on shelves and others are in cases. All of the soda cans are empty as Dave explains that the citric acid will eventually eat through the lining and he doesn’t want to risk soda splattering out of a can or two on any given day. While happy with the amount of cans he has amassed thus far, he still actively collects, but spends more time working on the soda can guide than searching for new additions. He can’t pass up a rare gem when it pops up though.